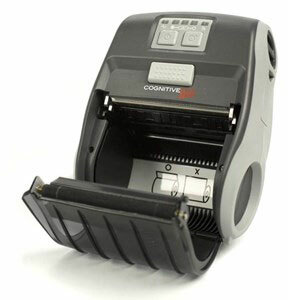 CognitiveTPG's M320 mobile printer prints high quality direct thermal labels and receipts from your smart phone or tablet. Rugged, lightweight and ergonomically designed, the M320 printer enables you to wirelessly print on-demand using Bluetooth or 802.11 b/g/n. The M320 is designed to withstand nearly any environment from the extreme cold, to the dusty warehouse, to the pristine hospital. Its IP54-rated protective case makes it resistant to dust and water and its rubber over-mold design ensures that it will continue to print even after a five ft. drop. The M320 has universal appeal across many markets and applications and is simple to use. 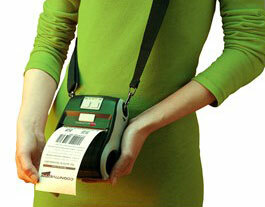 Direct thermal printing, 3" print width, Wi-Fi/USB interfaces, 4MB Flash. Includes USB cable, beltclip, battery, charger, and power adapter. 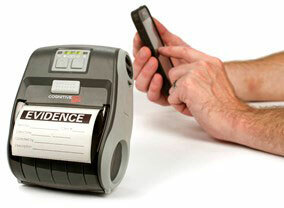 Direct thermal, 3" print width, Bluetooth/USB interface, 4MB Flash. Includes USB cable, beltclip, battery, charger, and power adapter. Brittish Power Adapter for M320. 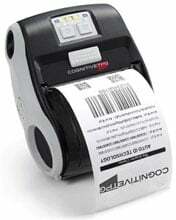 3" x 1" Direct thermal paper Label. Compatible with the M320.